Is Spotify About to Open Its Doors to Other Apps? Spotify will be holding a press conference tomorrow to announce some special goodness. But what? Some are speculating that Spotify plans to make its huge music library available to you via apps other than its own. And Spotify everywhere sure sounds nice. According to All Things D Spotify has been discussing the possibility of an API with developers, and could well announce the fruit of those discussions at tomorrow's press event. 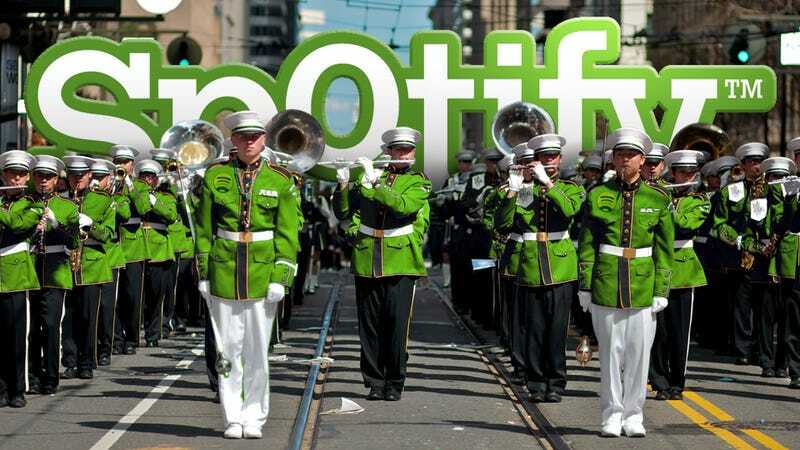 The rumored API would allow third-party services to directly access Spotify's music library. Basically, an API would open the door for all of the fully-featured apps you wish existed for Spotify and unfortunately don't. While there's been no actual confirmation of what Spotify plans to announce tomorrow, a new API seems to make a lot of sense, and it would be a boon to both the service and its paying customers. While Spotify's user base has ballooned to 2.5 million subscribers, most of the people who use the service don't pay for it. If Spotify wants to survive, it's going to have to change that. Some slick apps that could only be accessed by paying subscribers might convince more people to buy in. What would change for users? Potentially a lot. While Spotify's catalog is incredible, the service's features are minimal. If you don't know what you want to listen to, Spotify doesn't point you in the right direction. Maybe the plan all along was to leave that responsibility in the hands of crafty devs. Of course, Spotify's plans and those of the record labels are often different. Remember how it took Spotify almost two years to launch in the United States because of hang ups with the labels? An announcement of plans doesn't mean anything yet, since it's not clear that such an API service is even legal.